SpindlMAX, spol. s r. o., is an adventure agency established on 20 years of experience by the management of the company in this field. This agency is focused on summer sports activities and in the winter months on operating a skiing school, snowboarding school, the rental of skiing equipment and the Snow Kids Park intended not only for the youngest skiers. We currently have two operating facilities in the centre of Špindlerův Mlýn. 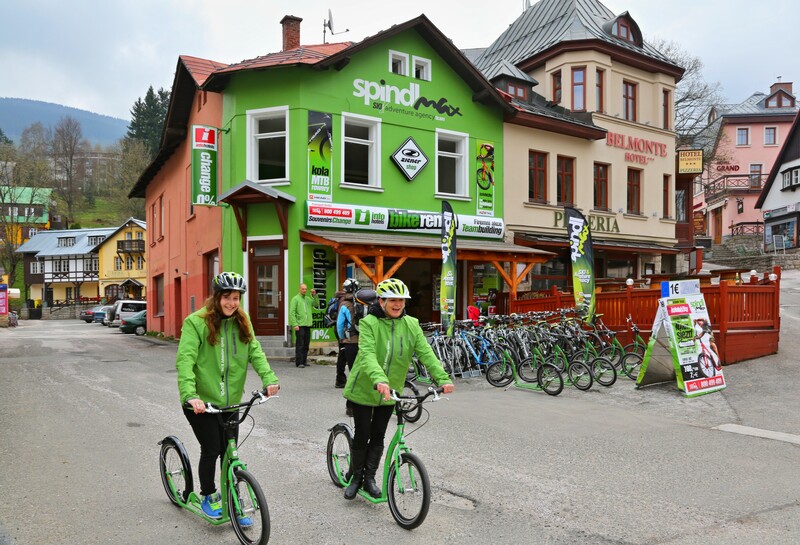 In addition, adjacent to hotel Špindlerova bouda is the START CENTRUM, which is located at an altitude of 1,208 metres above sea level, and from where in the summer month starts the track for kick scooters, bikes and trikkle tricycles. The track is 10 kilometres long and ends with the return of the rented adrenalin sports equipment at several points in Špindlerův Mlýn.